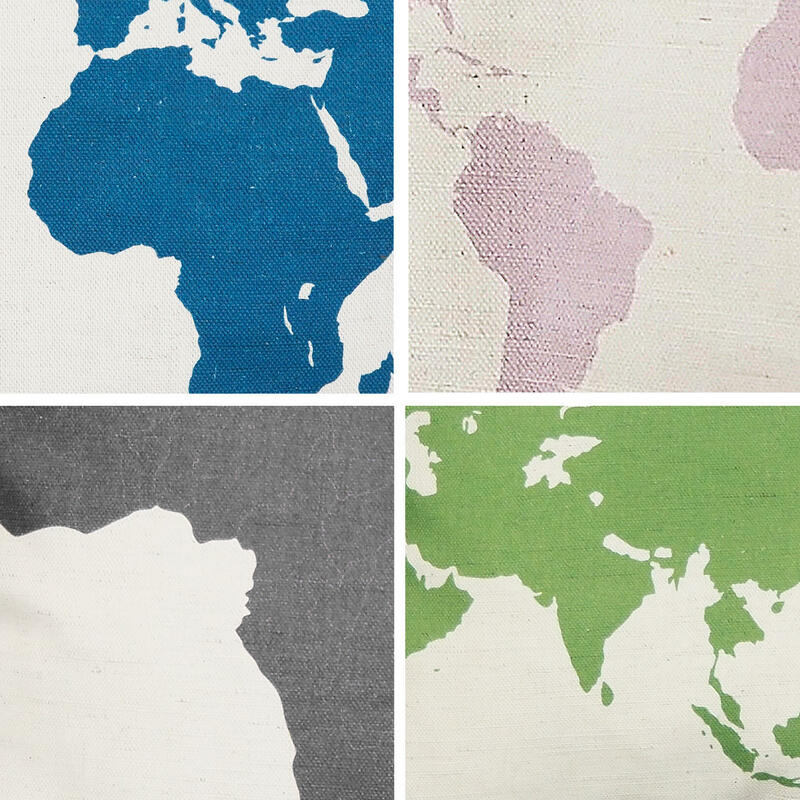 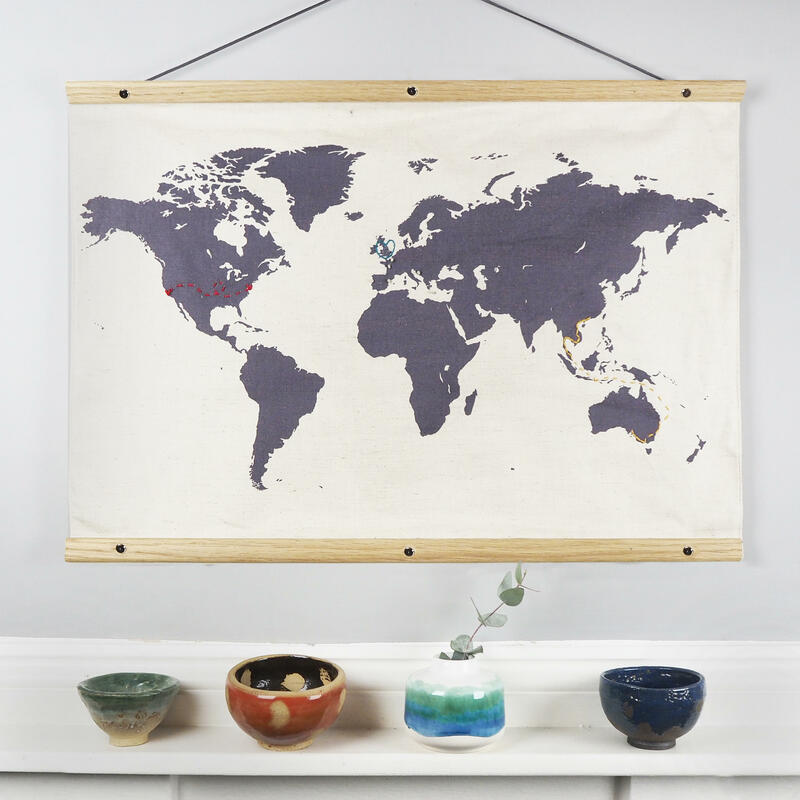 This sweet wall hanging showing a map of the world is a modern take on the classic wall map. 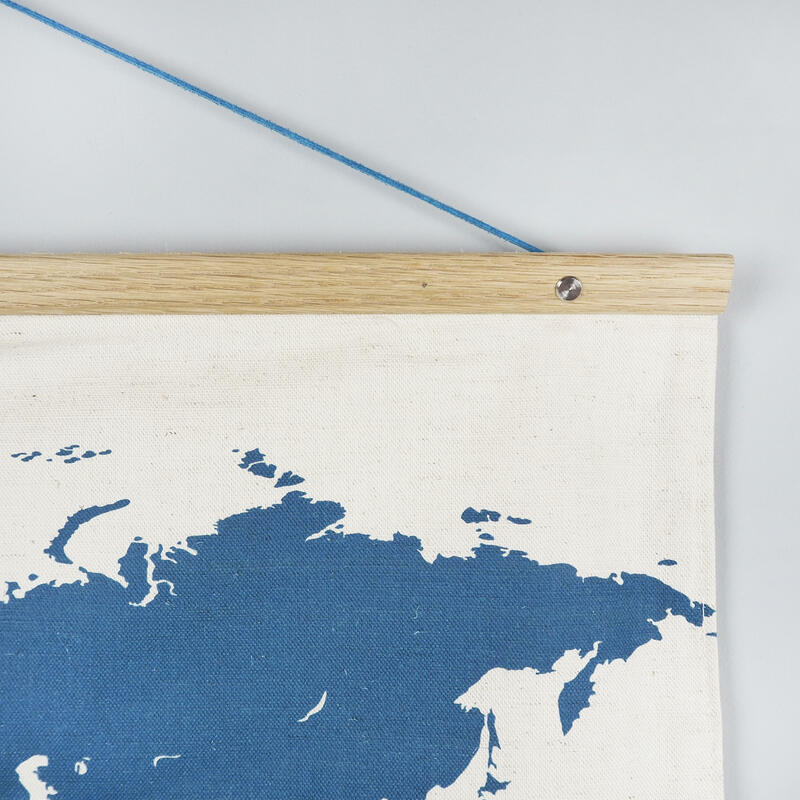 Printed in the UK onto a high-quality cotton-linen blend, the fabric is mounted between white oak wooden slats and held together with antiqued book binding screws. 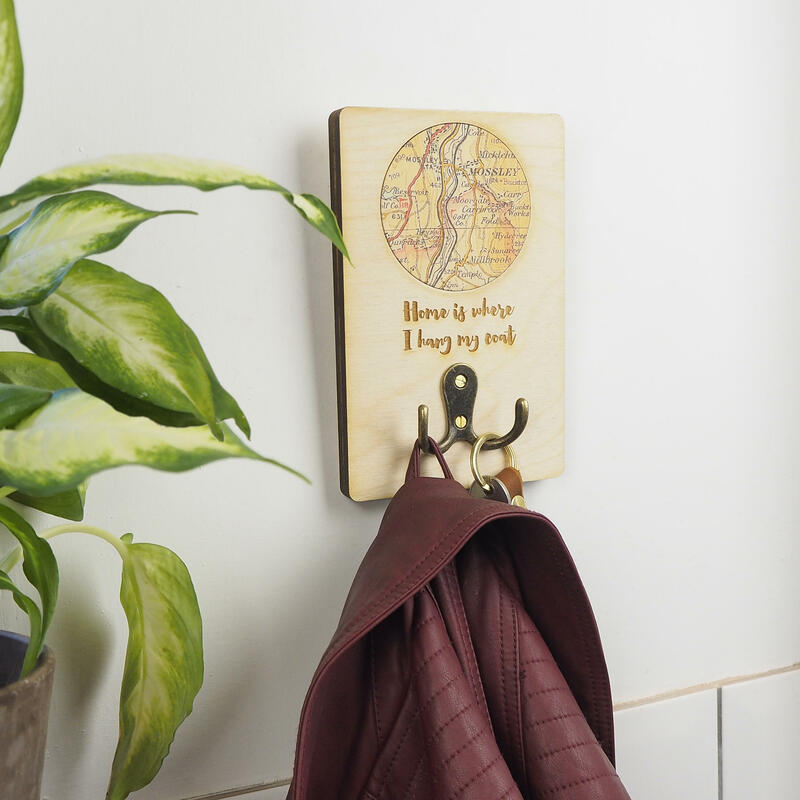 It is then hung from a suede cord to finish off the look. 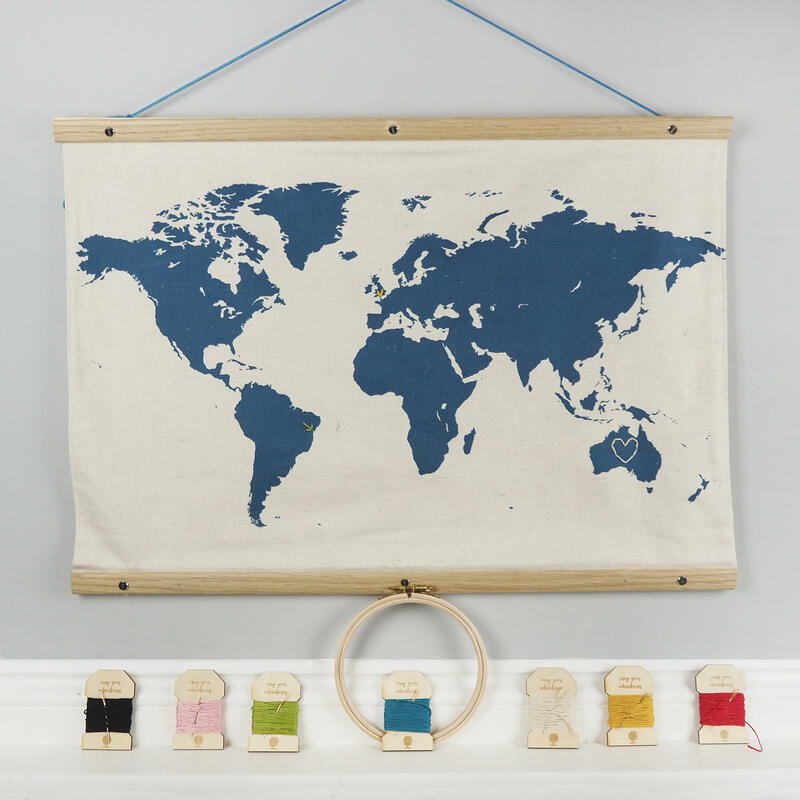 Choose from four colours: teal, pale pink, slate and moss. 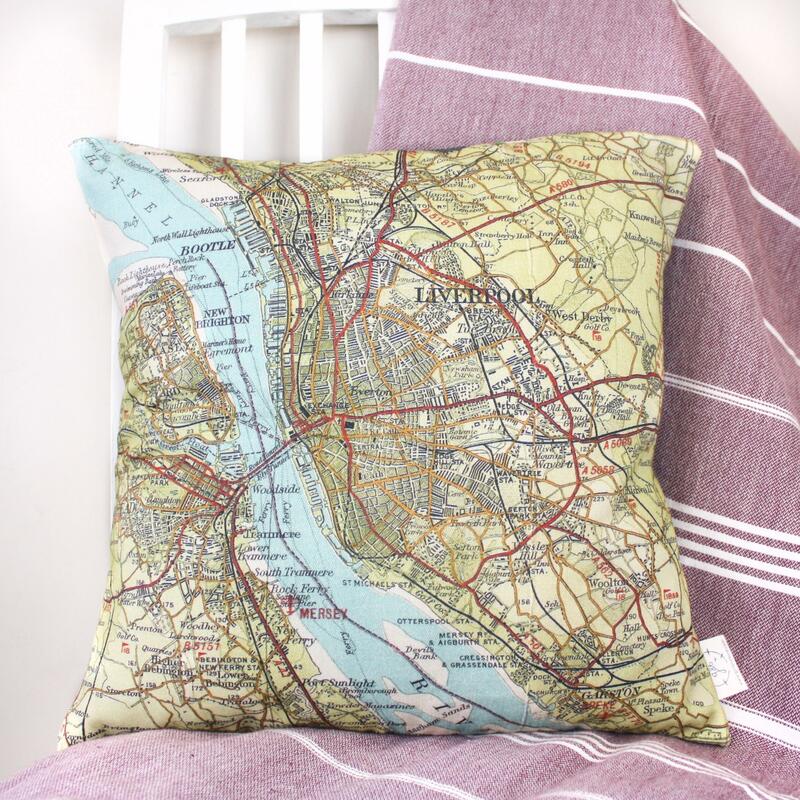 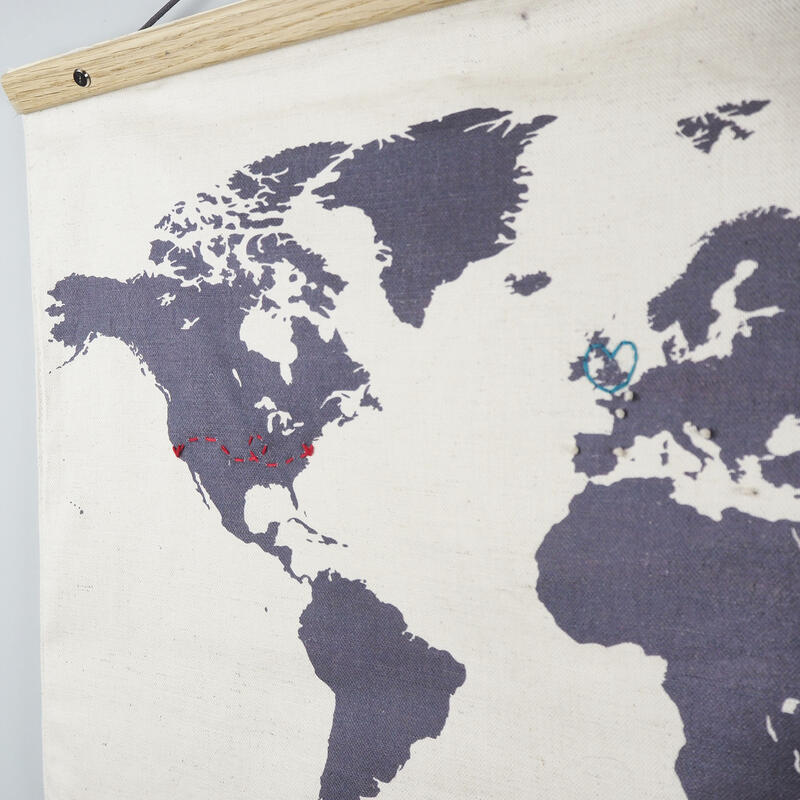 The suede tie will coordinate with the colour of the map, unless you request otherwise. 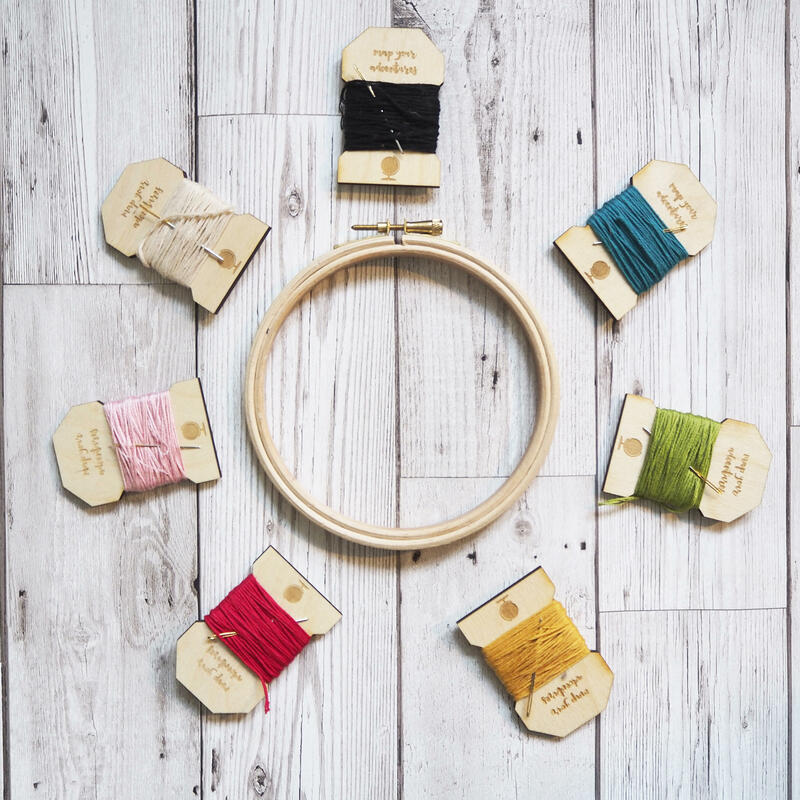 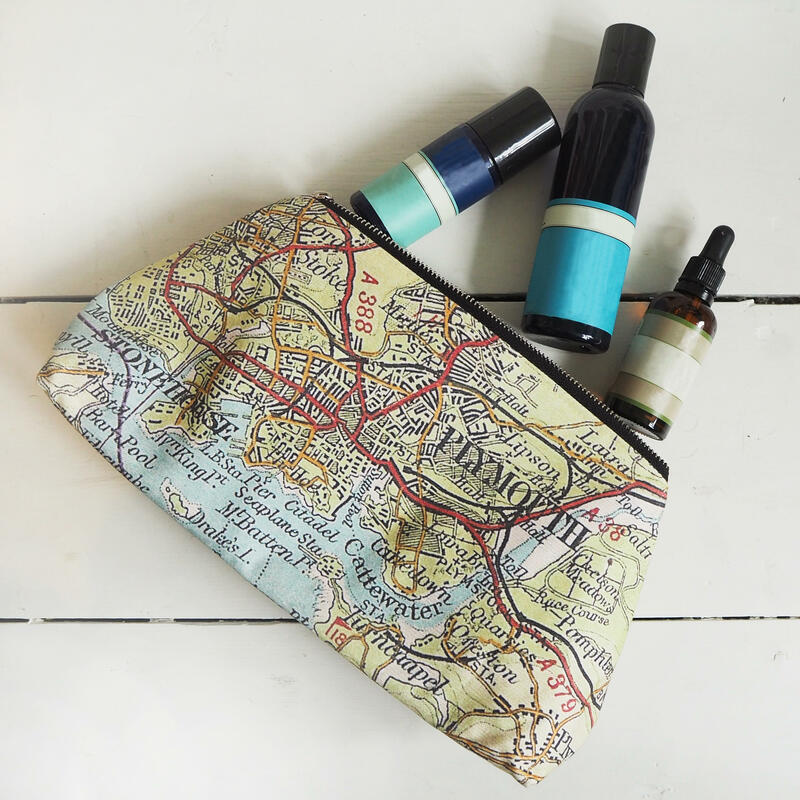 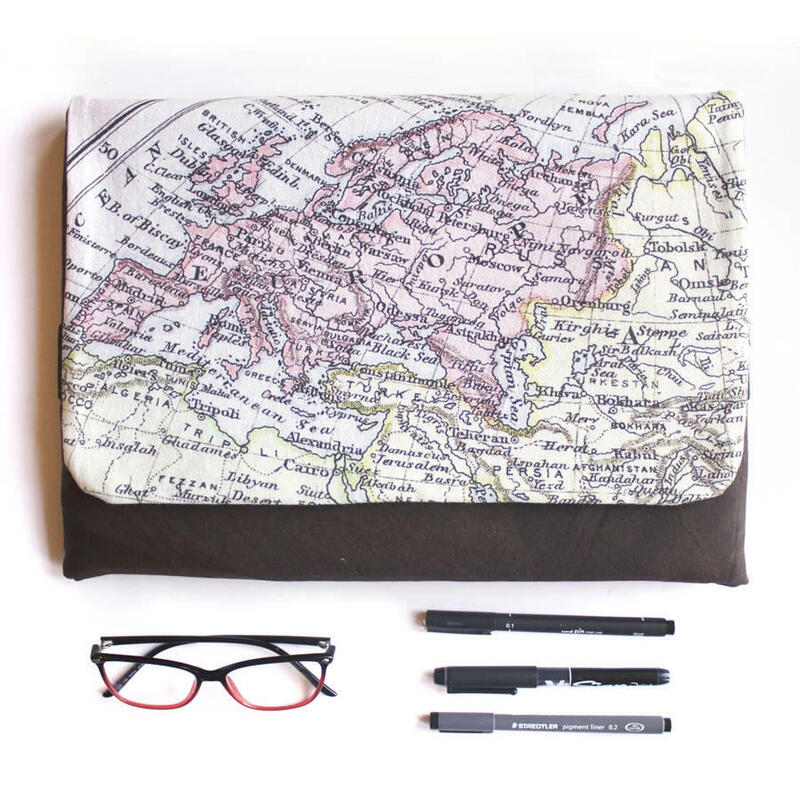 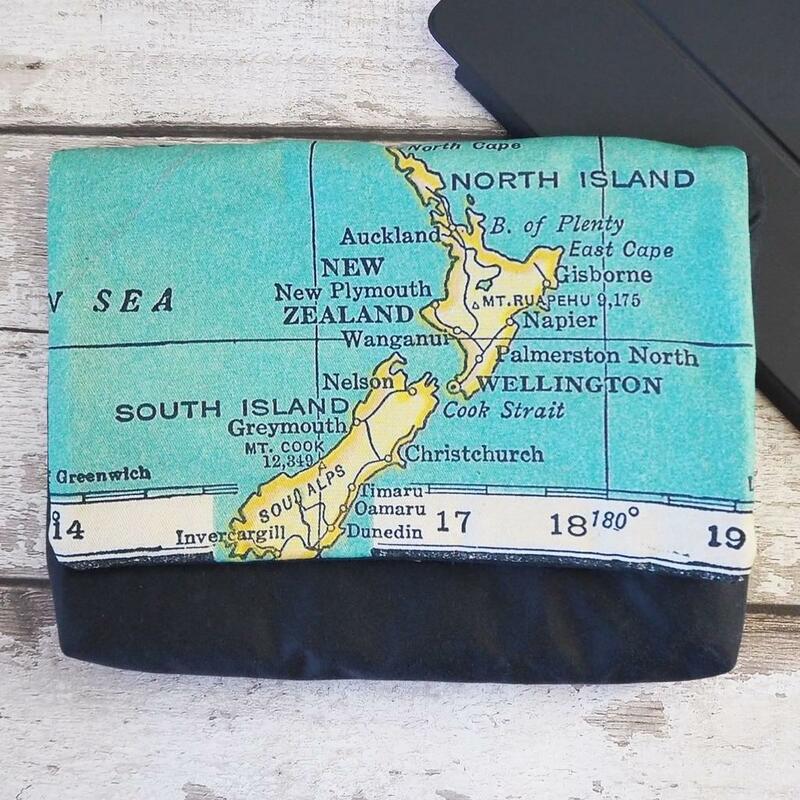 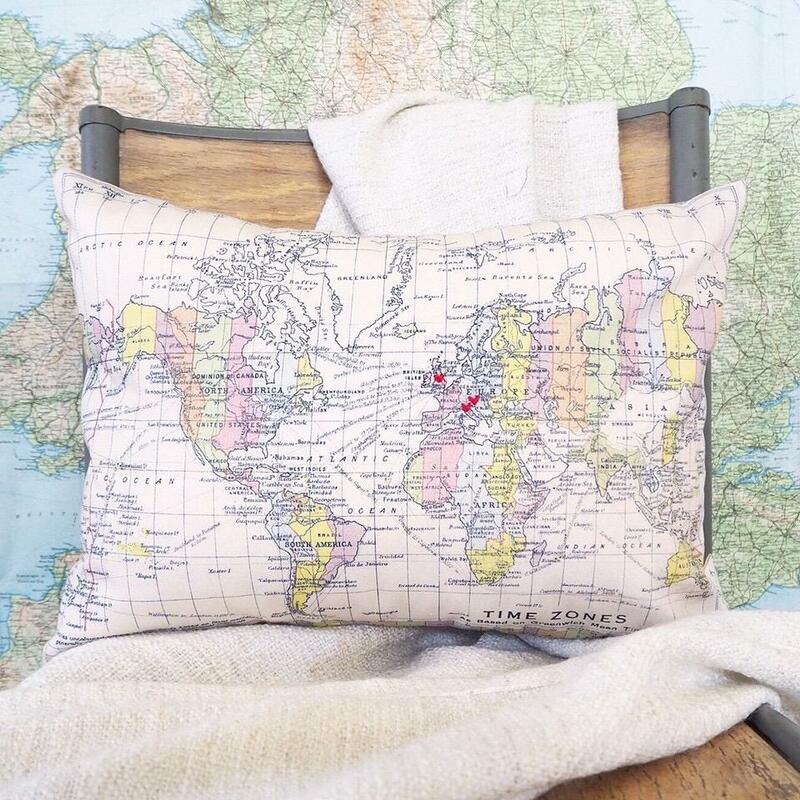 This world map is perfect to personalise yourself at home - embroider your favourite journeys onto it, and pinpoint places you'd love to go.Get the Girl and Bird embroidery kit from here, or add below.